Like any city, there are aspects of Swansea's heritage which are often overlooked. Here are a few reminders of the past, many of which are in high profile locations, but are passed unnoticed by thousands of people daily. 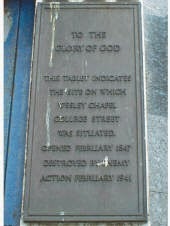 Plaque commemorating Sir Arthur Whitten Brown at Belgrave Court, Uplands. 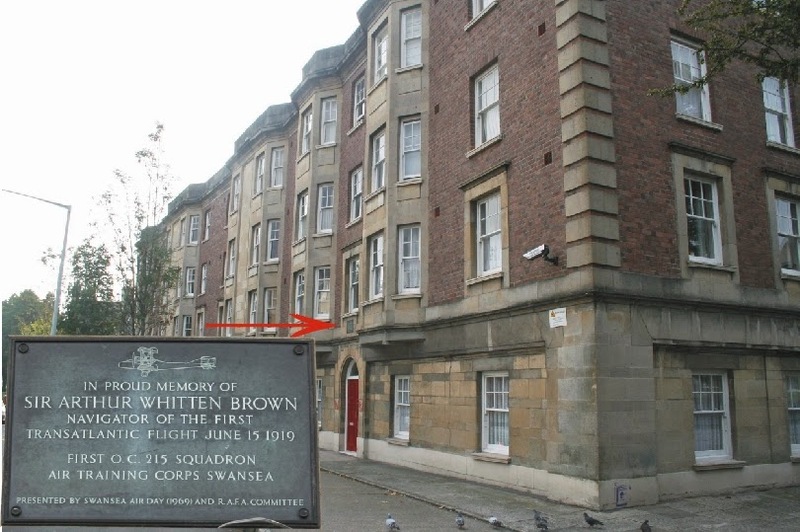 It is not generally realised that Sir Arthur Whitten Brown lived at Belgrave Court in Swansea; he is believed to have had a home also at Langland. Sir Arthur Whitten Brown made history when he completed the first non-stop transatlantic flight from Newfoundland to Ireland in 1919 along with the late Sir John Alcock. The flight, which took place between St John's in Newfoundland, Canada, and Clifden in County Galway, Ireland, took 16 hours and 27 minutes and culminated in their Vickers Vimy biplane crash-landing on Derrygimla bog in Clifden. Both men were knighted after the flight. 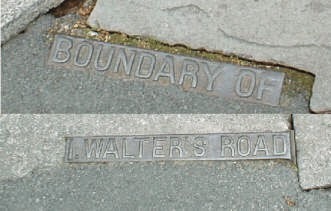 These two boundary markers can be found embedded in the pavement in Walter Road. But who was Walter and, for that matter who was Nicholson? While we're in Walter Road, this plaque on the front of a Solicitors' office at no. 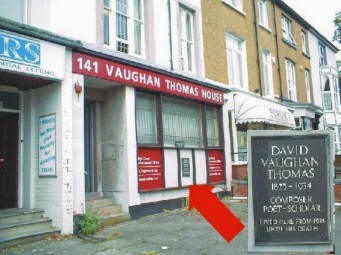 141 commemorates Poet David Vaughan Thomas. 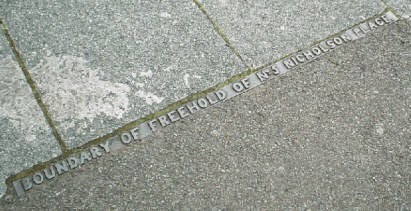 Thousands of people pass this spot daily, but how many notice the plaque? 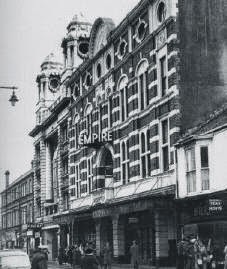 In its day the Swansea Empire Theatre was legendary, attracting many big-name acts, including a youthful Morecambe & Wise who are reported to have established their double act while performing in Swansea. Demolished in the 1960s, a very small part of one wall remains, including one of the roses from which the canopy was suspended. Swansea was severely damaged in the blitz of 1941, with much of what is now the City Centre totally destroyed. Consequently, comparatively few pre-war buildings survive in the City Centre, but here are some reminders of wartime damage. 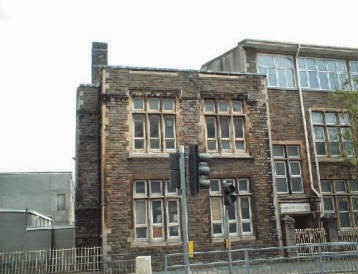 The former Police Station (above) still shows the scars of shrapnel from wartime bombing in this view taken in Orchard Street which serves as a reminder of an unfortunate era in Swansea's history. 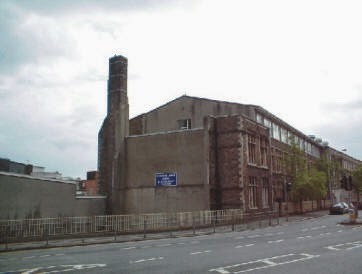 Dynevor School in De la Beche Street (above) still looked like a bomb-damaged building until very recently. 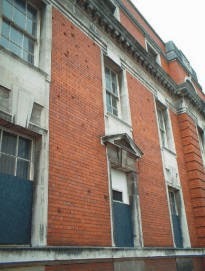 During 1941 the top floor was completely destroyed, hence the newer upper section to the main building. 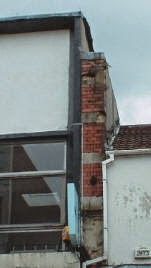 The centre photograph illustrates the cut-off window sills on this part of the structure. 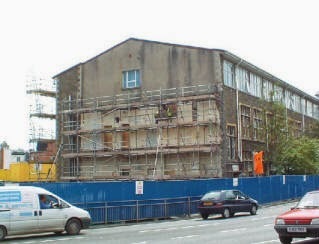 Recent work has seen this part of the building demolished for redevelopment as a state of the art media centre as part of Swansea Institute of Higher Education, obliterating forever the blitz-damaged section. 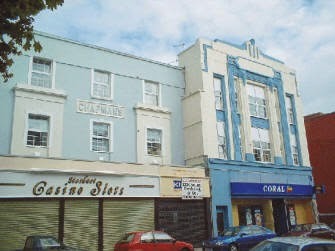 Recently refurbished buildings in High Street include that occupied in the 1930s by artists and photographers, Chapman's and a former cinema building. Hi Phil Trotter, I wonder if you are receiving the regular emails sent out about your yearmates from Dynevor who would in many cases dearly love to see you again for a chat pint and curry. Come on Phil, we need you. I haven't seen you for over 30 years! Big reunion planned this year for our 50th anniversary as Dynevor's Year of '67. Ted (Nield) geoscribe@yahoo.co.uk.